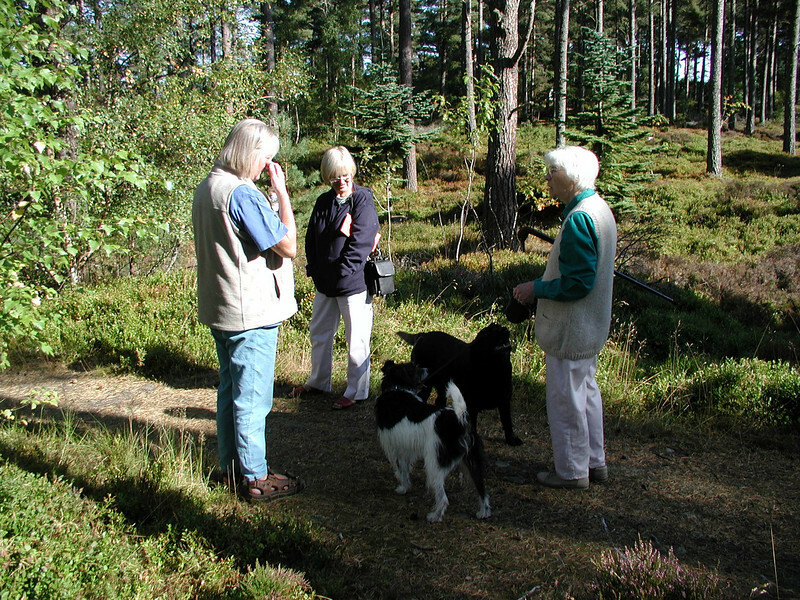 Doreen and Sparky meet friends in the woods at Grantown-on-Spey. We'd flown to see Aunt Doreen for the last time (she had terminal cancer) soon after my Mum died in 2003. Sparky (the black and white one) now lives with my brother Allen.